Most art is static and unchanging—something that is created and complete. 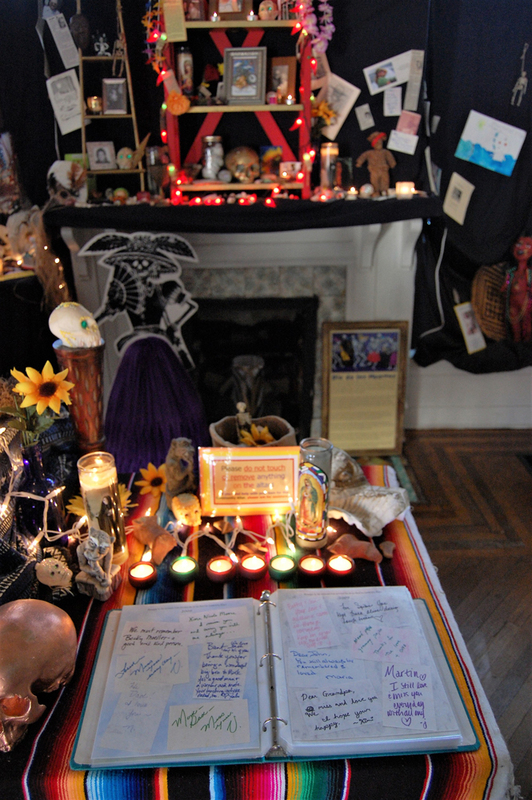 Bloomington’s Day of the Dead Community Altar is none of those things. 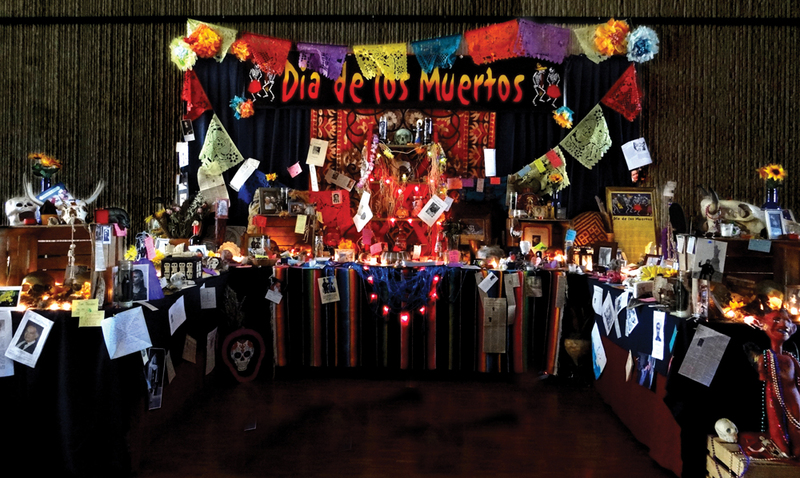 Inspired by the Mexican holiday Día de los Muertos, the altar is a collaborative space where visitors are encouraged to leave a photograph, written memory, or object that commemorates someone who has died. 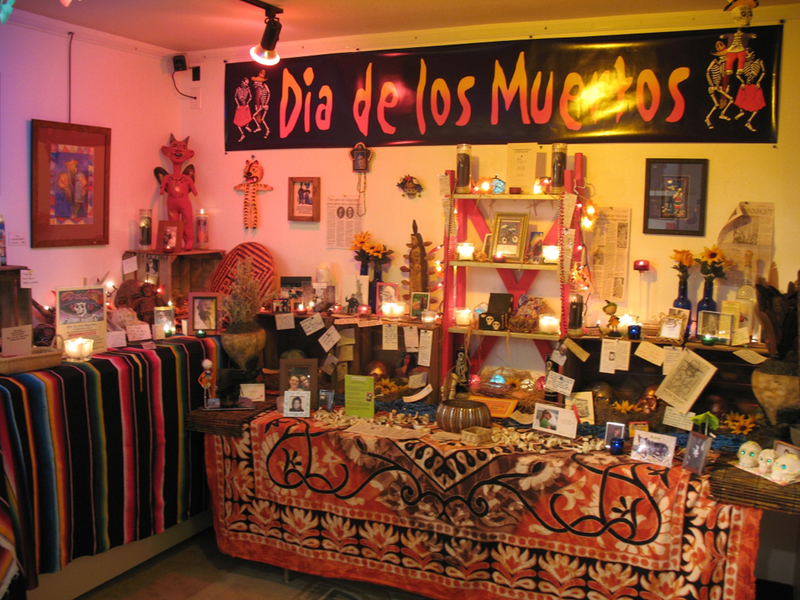 The first Bloomington altar appeared in 2006 at the Wandering Turtle Art Gallery, owned by Jaime Sweany (now Bloom’s associate publisher). As Sweany and her collaborator, Michael Redman, saw the positive public response, they decided to preserve the altar and let it grow. They carefully stored each year’s offerings—things like eyeglasses, books, toys, and letters—then brought them back out each fall. As the memorial gained a following, people returned annually to revisit their mementos and add new ones. 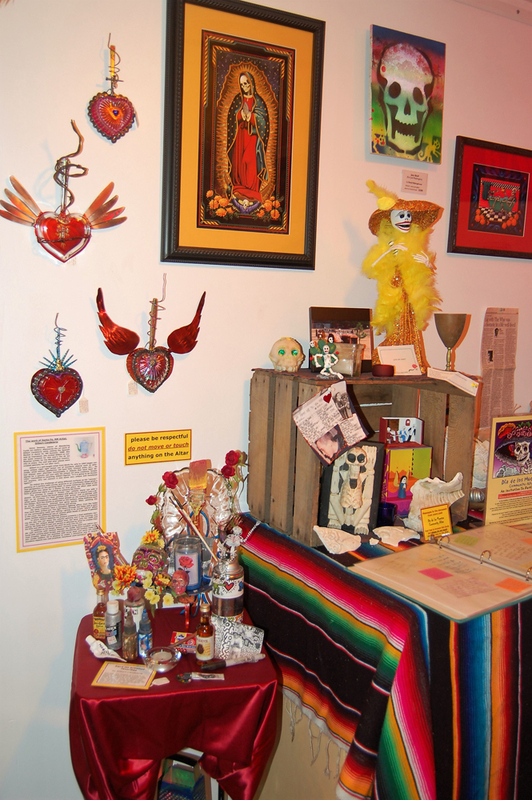 When Sweany closed her gallery in 2011, she put five years’ worth of offerings into storage and worked to find a new location for the altar. In 2012, after one year at the now-closed Sublime Design Gallery, the altar reappeared at the Mathers Museum of World Cultures. Redman and the Wandering Turtle’s former manager, Rachel DiGregorio, took over its care and installation. 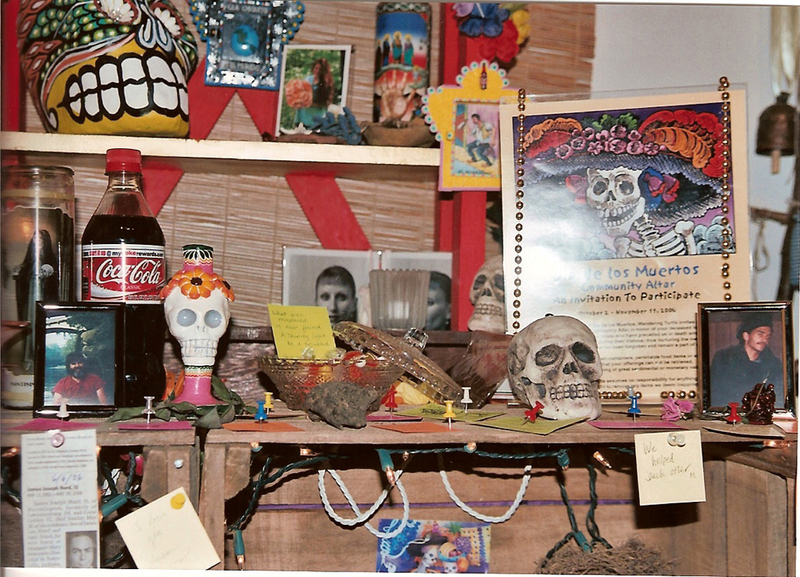 At Mathers, the altar is treated as a homegrown cultural tradition. 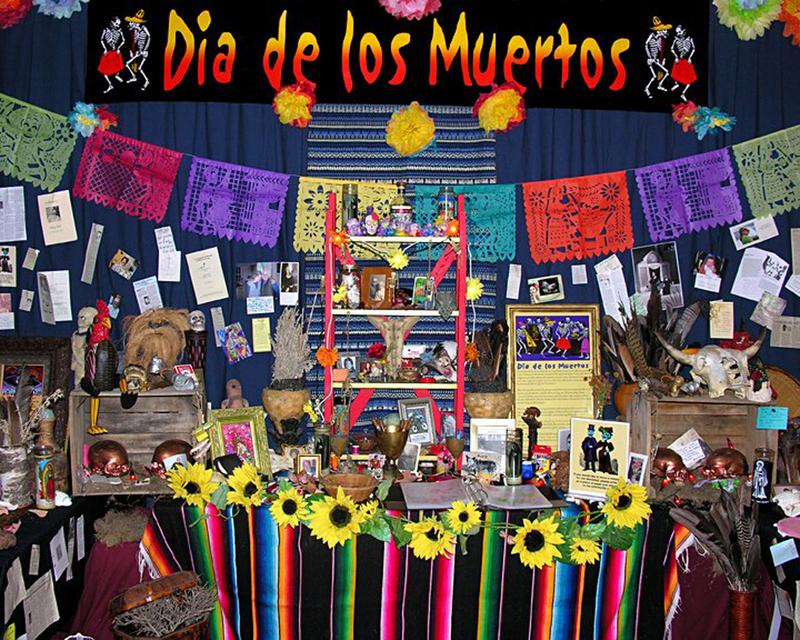 The Día de los Muertos Community Altar will be available at the Mathers Museum of World Cultures from October 3 to November 1.